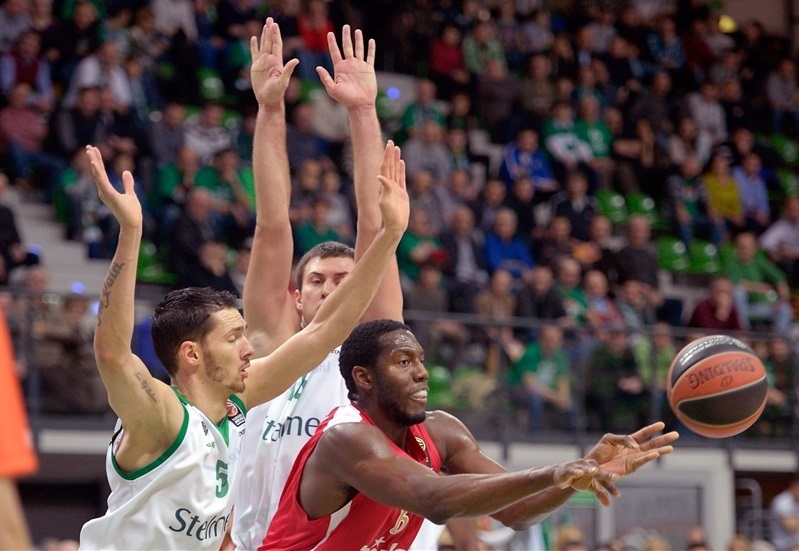 Reigning champion Olympiacos Piraeus completed a perfect regular season by leading from start to finish in downing Stelmet Zielona Gora 80-91 on Thursday. It was the 13th consecutive Euroleague win for Olympiacos, dating back to the last season, and the one that capped a 10-0 regular season in Group C. Zielona Gora finished its Turkish Airlines Euroleague debut campaign with 2-8 record and last place in the group, and moves on to play in Group O of the Eurocup Last 32. Stratos Perperoglou scored 12 points in a key second quarter for the visitors to pull away to a double-digit margin, and Vassilis Spanoulis extended it to 47-62 midway through the third quarter. 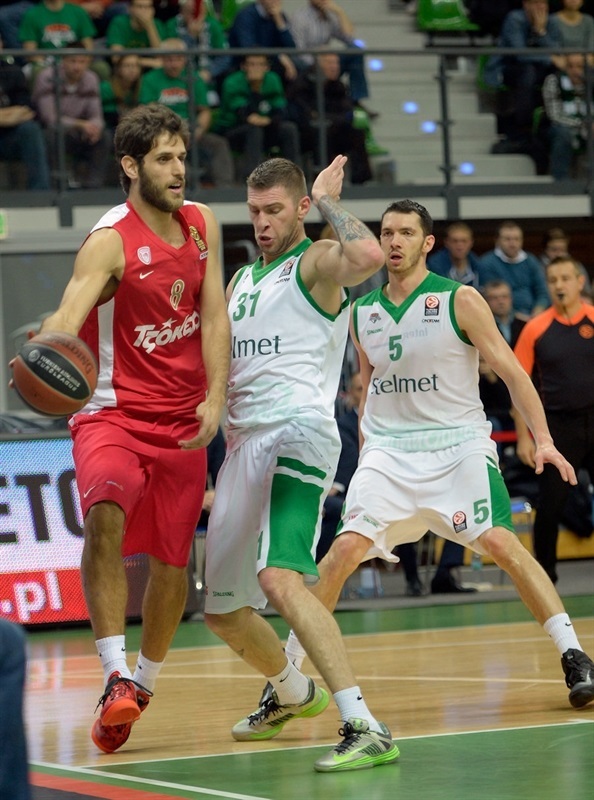 Zielona Gora tried to rally behind 6-of-6 second-half three-point shooting from Przemyslaw Zamojski, but the hosts only came within 60-67 before Olympiacos pulled away to a 17-point margin in the fourth quarter. Perperoglou scored 23 points on 5-of-6 three-point shooting, and Matthew Lojeski was 4 of 6 from downtown for 18 points. 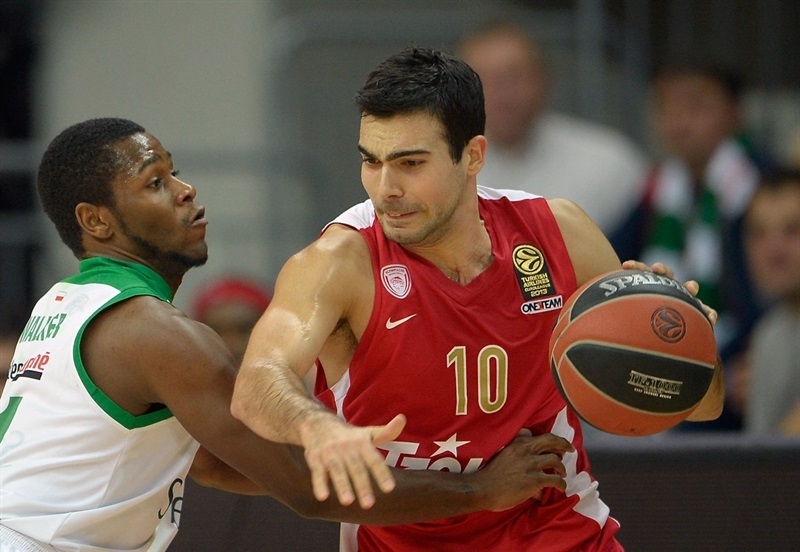 Spanoulis had 17 points and 6 assists, while Bryant Dunston chipped in 12 points for Olympiacos. 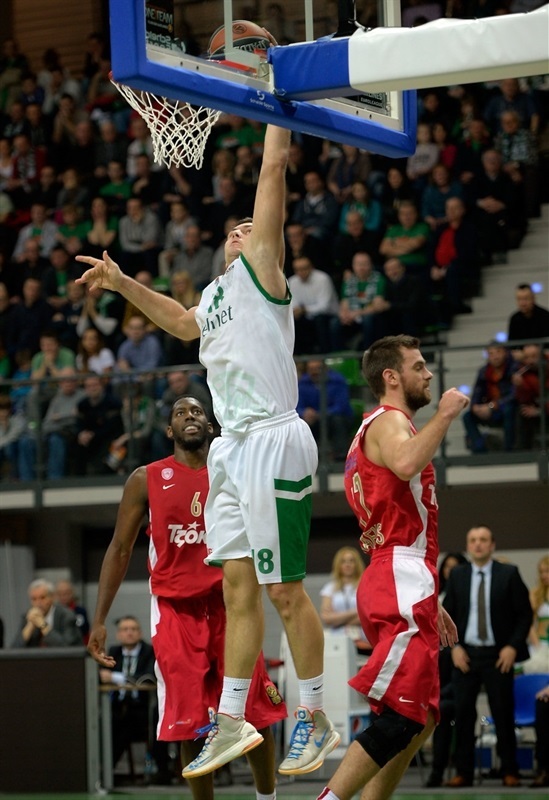 Zamojski was perfect from behind the arc and finished with 22 points. Vladimir Dragicevic scored 14, Lukasz Koszarek had 12 points with 6 assists, and Adam Hrycaniuk bagged 10 points in defeat. Spanoulis started things by driving for a layup before Brent Petway added a layup of his own. Aaron Cel made a dunk for Zielona Gora, but Spanoulis banked in a second-chance floater and drove for another layup, before Bryant Dunston scored from close range for a 3-10 start. The hosts settled down after a timeout with a driving layup from Cel and Marcin Sroka sinking a three-pointer, cutting it to 8-10. Spanoulis and Cel traded baskets inside, before Matt Lojeski added a dunk and a triple. A put-back from Dunston extended the lead to 12-19. 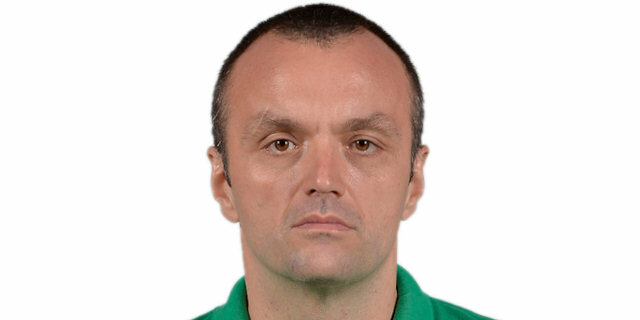 Przemyslaw Zamojski and Vladimir Dragicevic answered with layups. Dimitrios Katsivelis nailed another three-pointer for Olympiacos, but Lukasz Koszarek sank a long jumper to end the first quarter at 18-22. Dragicevic and Adam Hrycaniuk scored from close range, but Perperoglou hit a three-pointer in between those baskets as the Reds remained in front 22-25. Perperoglou added more baskets, from close range and from behind the arc, and a Cedric Simmons tip-in made it 24-34 midway through the second quarter. Koszarek buried a long jumper with his toes touching the three-point line, before Hrycaniuk strung together 6 points, including a pair of mid-range jumpers. 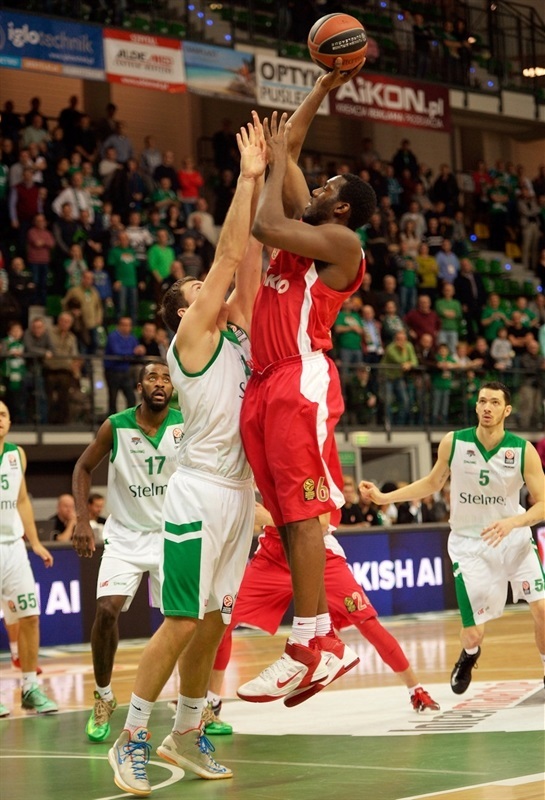 But Dunston had his way with a put-back dunk in the crowd, and Spanoulis drove the baseline for a layup and 32-41. Perperoglou followed it up with a little driving floater, before Dragicevic ended the quarter with a one-handed slam, making it 34-43 at halftime. After Lojeski and Dragicevic traded layups to start the third quarter, Spanoulis sank a triple and Dunston made a steal and a fastbreak dunk for 36-50. Dragicevic and Dunston traded baskets from close range, before Zamojski and Perperoglou traded shots from long range. Scoring at a fast pace continued as Dragicevic added a put-back to make it 43-55, but Lojeski hit a corner triple, Dunston rose high for a dunk and Spanoulis drove for another layup and a 47-62 lead. Another triple from Zamojski, and a layup from Dragicevic, helped make it 54-64. Christian Eyenga put in a floater to cut the deficit to single digits, and after Perperoglou buried a three against the hosts’ zone defense, an alley-oop dunk from a high-flying Eyenga cut it to 60-67. But in the final 50 seconds of the quarter, Lojeski hit a three and finished a fastbreak with a dunk, before Kamil Chanas hit a buzzer-beating off-balance jumper to get within 62-72 at the end of three quarters. Lojeski nailed a corner triple, his fourth of the night, to open the fourth quarter, and after Hrycaniuk hit a long jumper against the visitors’ zone defense, Perperoglou hit his fifth three-pointer as margin reached 64-81. Zamojski scored twice from downtown for the hosts, but Ioannis Papapetrou hit one on the other end and Simmons added a monster dunk. His fifth and sixth triple in as many attempts from Zamojski cut it to 77-88. Before the game’s end, Koszarek also scored from long range, but it was all too little, too late for the hosts. 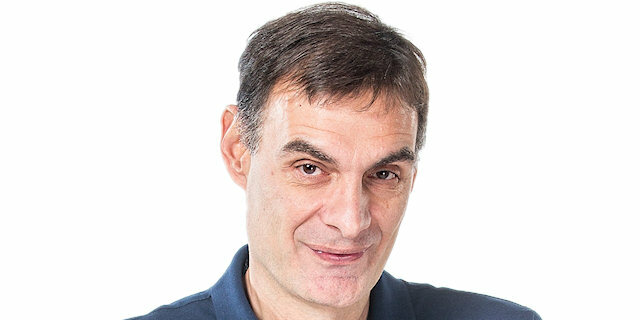 "Congratulations to Olympiacos, who proved that it is one of the best teams in Europe. They won a group competition without defeat and deserved it. Olympiacos showed great quality and I wish them to defend the title. We are happy of our Euroleague adventure. It was an exciting experience for all of us. I think we did a good job. Sometimes we were unlucky but generally we showed a good performance." "It was a really good game for the fans, nice to watch. We won and I could use all the players who came to Zielona Gora. We finish the competition with an impressive record of 10-0 and we have to start thinking about the Top 16. I wish good luck to Stelmet. The team from Zielona Gora showed a really good performance this Euroleague season, Stelmet lost some games by buzzer-beaters. If they had been luckier, could have gone to Top 16 as well. 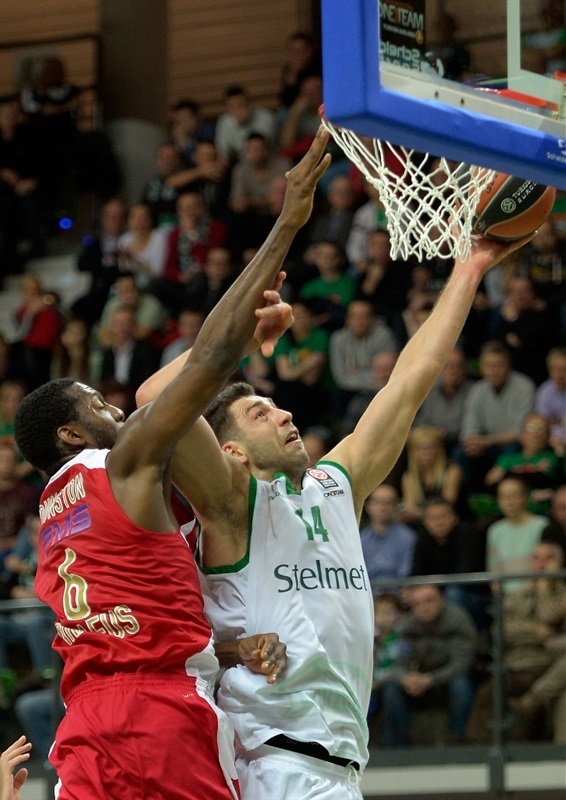 I think that Stelmet will play very well in Eurocup and prove that is a quality team." 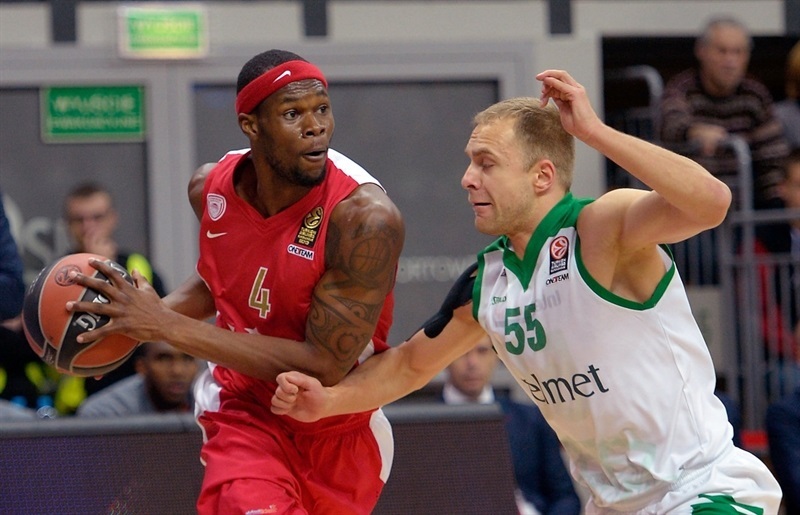 "We played against a real giant and Olympiacos proved that it is a great team. We have been fighting, doing everything we could but the team from Athens was just too strong. If you play against such a team, you must sacrifice something. We gave them more chances for 3-point shots and they use it brilliantly. Anyway, we are happy that we could face such a team. I am sure that an experience we gained today, will be useful in the future."